An adventure in gardening on the edge! In this section I will be chronically my adventures in different types of gardening. 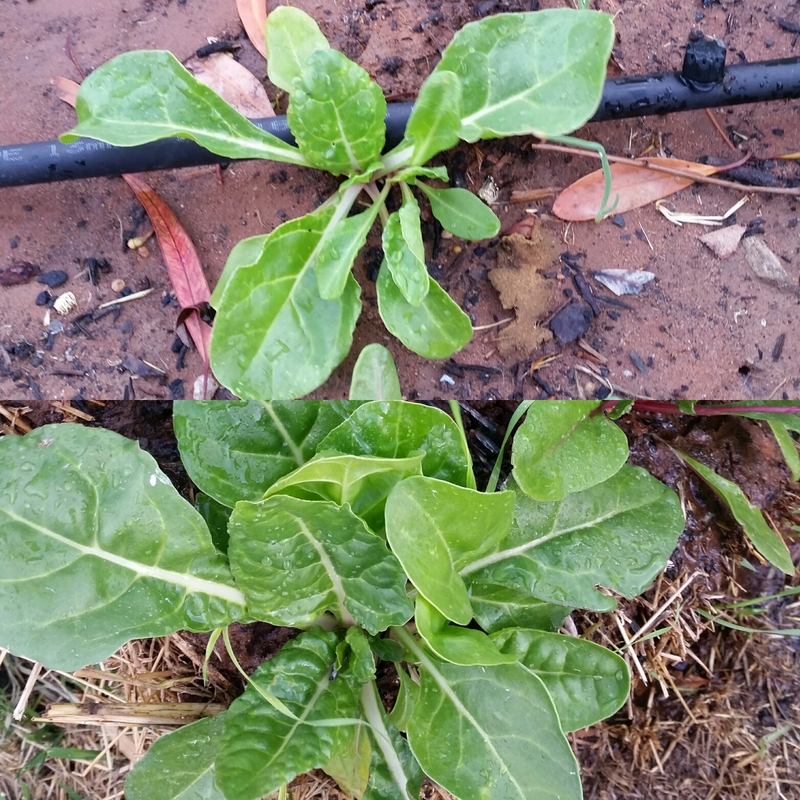 I planted out these spinach seedlings at the same time. The top photo is in a raised garden bed and the bottom photo is in the straw bale. The straw bales are definately better for spinach. I am excited to say that I have had success with getting the seed potatoes to grow in their planters made from chicken wire. There are however, modifications that I need to make as some of the potatoes have emerged outside the cage on the side. I now have to decide the best course of action for this season. I am thinking of using more chicken wire, lined with 70% shade cloth to make a second wall and fill with more potting mix. Hopefully this will encourage to potato to grow upwards and grow potatoes along the stem.